Looking forward to selling my work at Pop-Up at the Palm House along with lots of fantastic artists & makers. Come along and say hello! 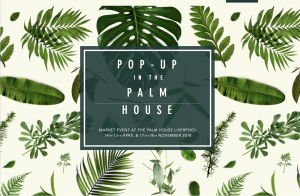 Pop-Up at the Palm House is a twice yearly market event for artists, makers and designers from across the North to showcase and sell their works, there will be food and seasonal drinks on offer along with live music.